This beach ornament is made by placing sand and small shells into a glass ball ornament. I started a tradition years ago to buy (or make) an ornament from every vacation we take. When we decorate our Christmas tree, it so fun to remember all the wonderful places we have visited and the memories we made there. One of our favorite summer vacations is going to the beach. I have plenty of the typical beach ornaments from the gift shops. So this year I thought I would make an ornament using some of the shells and sand we collected from the beach. 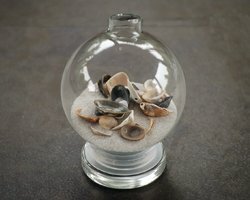 My daughters had fun making this glass ball seashell craft with me, and it is fast and inexpensive to make. 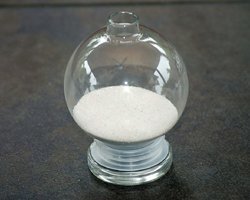 Glass ball ornaments are sold in multi packs (mine were sold in packs of four). 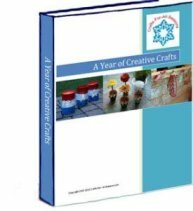 If you would like to see other ideas of what you can make with them, visit one of these projects: sparkling gem ornament, snowflake ornament, tinsel ornament, and the paint swirled ornament. 1. 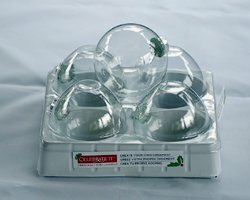 Begin by removing the top from the glass ball ornament. 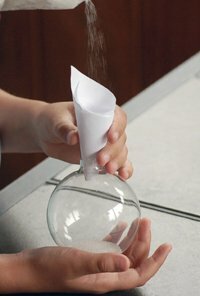 Make a little paper funnel (or use a real one) and pour some sand into the glass ball ornament. Don't use too much because you don't want the ornament to be too heavy. 2. Next, add small seashells, small rocks, sharks teeth, bits of drift wood... anything that will fit into that small hole. Be careful not to add too many, as the ornament may get too heavy! 3. Add a bit of glue around the edge of the glass ball ornament, where the metal top fits in. Then add the metal top with the hook. This will keep it secure since the ornament will have a bit of weight to it now. Next, wrap a bit of rope, cord, raffia, or ribbon around the stem of the ornament. I used a bit of clothesline. 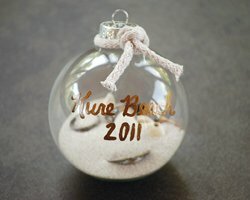 Finally, write the name of the beach you visited and the date on the beach ornament and allow the paint to dry.